The Finlay Home was an Anglican residence that primarily served elderly men between 1857 and 1970. With the closure of the Anglican-run Quebec Asylum around 1827, there was no Anglican or Protestant home for the elderly until the 1850s. This caught the attention of Margaret Finlay, who willed £200 to the Church of England for this purpose upon her death in 1849. In 1857, the bishop acquired a wooden cottage in Saint-Jean-Baptiste "to form the commencement of an asylum for the aged and infirm, or otherwise disabled persons and distressed widows, being of the communion of the Church of England.” It eventually became a men’s home, with the women redirected to the Ladies’ Protestant Home. By 1962, the Finlay Home catered to only eight elderly men. 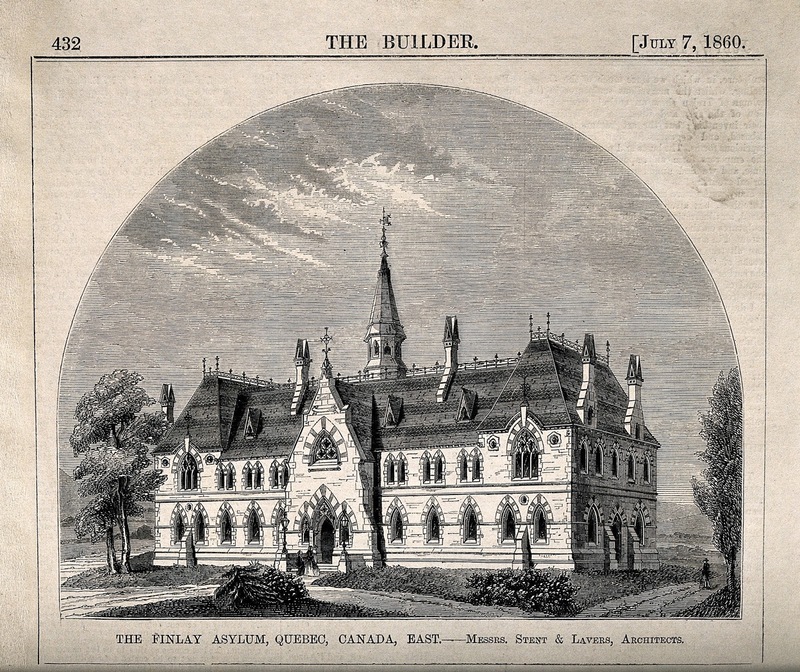 The building was sold in 1968, and the home continued in Sillery until October 1970. The six remaining men were relocated to Saint Brigid’s Home and to another home in the Eastern Townships. The Finlay Asylum lives on as a charitable trust that provides grants to organizations for the homeless and needy, namely Saint Brigid’s Home. My 3rd maternal great-grandfather, Henry Pyle born in Crosserlough, County Cavan, Ireland was an inmate of Finlay Asylum as an elderly gentleman with no family left. He passed away in 1898 and was buried in Bourg Louis Cemetery in Quebec City.